Summary: Freakwater open for M. Ward in January. Eleventh Dream Day tours Europe in the spring, and Brett Eugene Ralph's Kentucky Chrome Revue play a couple of shows. 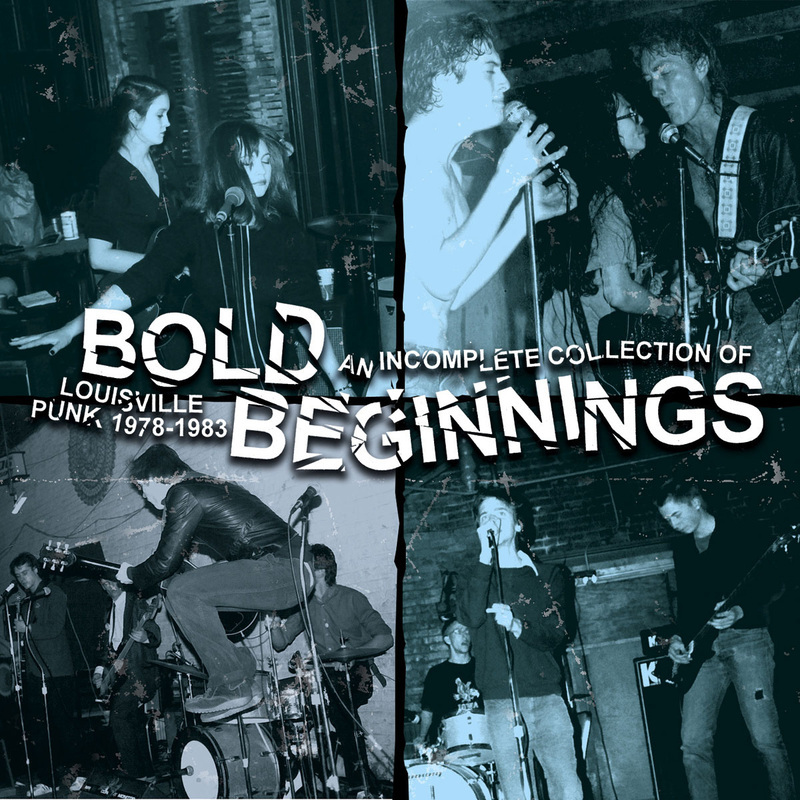 In May, Noise Pollutiion released Bold Beginnings: Louisville Punk 1978-1983, on which is included tracks from the Dickbrains and Skull of Glee, from Catherine and Janet's punk past. 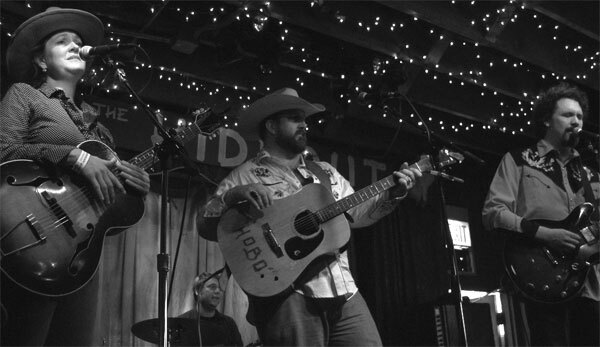 In June, Freakwater headlines a nine-act country bill at the Hideout in Chicago. In July, Catherine, with trepidation, performs the Eagles' "Peaceful Easy Feeling" on WFPK's "Live Lunch" as part of Lousiville's 6th annual Lebowskifest. In July, the Unholy Trio play some reunion shows in North Carolina. In the second half of the year, Catherine Irwin, Eleventh Dream Day, the Kentucky Chrome Revue, and The Horse's Ha independently hoe their own rows. 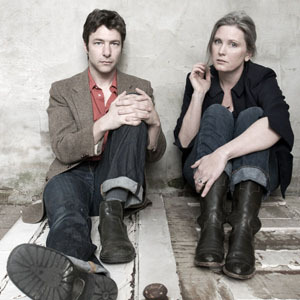 2007.02 Janet Bean and Jim Elkington, The Horses's Ha, begin to perform publicly. "The Horse's Ha" is a poem by Dylan Thomas and is featured in the collection Adventures in the Skin Trade. 2007.03.03 Douglas M. uploads his personal archive the Louisville punk scene of which he was member. Many artifacts related to Janet Bean and Catherine Irwin can be found there. 2007.04 Eleventh Dream Day tours Europe: Saturday, Mar 31, Zwolle, Netherlands - Hedon; Sunday, April 1, Dresden, Germany - Star-Club ; Monday, April 2, Berlin, Germany - Quasimodo; Tuesday, April 3, Karlsruhe, Germany - Jubez; Wednesday, April 4, Weinheim, Germany - Café Zentral; Thursday, April 5, Wien, Austria - WUK; Friday, April 6, Ebensee, Austria - Kino; Saturday, Apr 7, Geislingen, Germany - Rätschenmühle. 2007.04.13 Brett Eugene Ralph's Kentucky Chrome Revue, featuring Catherine Irwin, play their first gig in Louisville, and a second show in Nashville the following night. 2007.04.28 The Horse's Ha open for Alejandro Escovedo at the Old Town School, Chicago. 2007.06.24 Freakwater and Brett Eugene Ralph's Kentucky Chrome Revue play the "Day in the Country" festival at the Hideout, Chicago. 2007.07.14 The Unholy Trio, featuring David Wayne Gay, play a reunion show at Broadway's in Asheville, North Carolina. 2007.07.20 Eleventh Dream Day play the Empty Bottle, Chicago. 2007.07.20 Catherine Irwin covers the Eagles' "Peaceful Easy Feeling" at Lebowskifest, Louisville. 2007.09.28 The Horse's Ha open for the Mekons at the Old Town School of Folk Music, Chicago. 2007.10.13 The Horse's Ha play the Lafayette Brewing Company in Lafayette, Indiana. 2007.10.17 Eleventh Dream Day plays the Subterranean, Chicago. 2007.10.18 Brett Eugene Ralph's Kentucky Chrome Revue, featuring Catherine Irwin, plays the Pour Haus, Louisville. 2007.10.18 The Horse's Ha open for Benjy Ferree at the Hideout, Chicago. 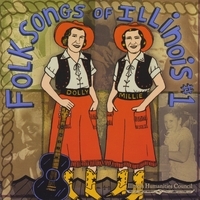 2007.12.14 Freakwater plays Chicago's Logan Square Auditorium as part of Thrill Jockey's 15th anniversary shows. 2007.12.16 WFPK conducts a series of interviews with the musicians of the 70's/80's Louisville punk scene from which Freakwater emerged. Listen here.